This week’s reading begins with Rivka’s pregnancy, which came about only after many years and many prayers. And then we read a verse which, according to Rabbi Shlomo Yitzchaki himself, begs further explanation: “And the children struggled within her, and she said ‘if so, why am I here?’ And she went to inquire of G-d” [25:22]. First of all, what’s the problem? Different children behave differently in utero. Some move around a great deal, while others are more placid. Women can often tell how their children will behave before giving birth. Second question: where did she go? G-d fills the world, yet the verse says “she went to inquire” of Him. And what is the answer she receives? “And G-d said to her, ‘there are two nations in your womb, and two peoples will separate from within you; and the one will be stronger than the other, and the older will serve the younger'” [25:23]. They are two brothers, and they will not get along. One will bully the other, she is told. And she is reassured and goes home, and indeed eventually gives birth to twins. This, then, is the reassuring answer, that they are brothers who won’t get along? Our Sages explain that what Rivka perceived was not “conventional” movement of a baby. There was a House of Study, dedicated to understanding G-d, led by Shem the son of Noach, and his great-grandson Eyver. And any time that Rivka went by this House of Study, she felt her baby (not knowing that there were, in fact, two babies) trying to get out to go study with them. But by this time, there was also a great deal of idolatry in the world. And every time she walked by a house of idolatry, she also felt her baby trying to get out, to go worship the idols! It was to the House of Study of Shem and Eyver to which she went to seek guidance. And that is where she learned that she was going to have twins. Our Rabbis say that what bothered her so much was that her baby appeared to be pulled in every direction. He or she wanted to simultaneously serve G-d and serve idols. And the consolation was, these are two different children, each of whom is naturally drawn in one direction but not the other. This was a consolation, they say, because then one could hope that the child naturally drawn to idolatry would nonetheless defeat this inclination and serve G-d. But if he didn’t perceive that idolatry and service of G-d were different and mutually exclusive, then he was lost at a much more fundamental level. Unlike babies in the womb, we have within us both good and evil inclinations. We are all, in our lifetimes, drawn to both sides — and every person, on his or her level, sometimes makes the wrong choice. But our very first task is to know that there is indeed a choice to be made, that some actions are superior than others. The Torah tells us how to discern between them. And then, we must take stock. We must know in what direction we are going, rather than allow ourselves to be lost in our daily affairs. That will enable us to change for the better. Our goal is to grow. We must attempt to become more G-dly, and bring more G-dliness into the world through our actions. 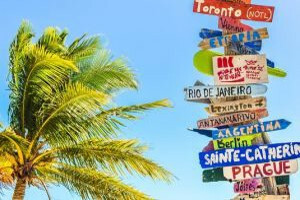 If we are “all over the place,” lost in a cloud of good and bad behaviors, then indeed “why are we here?” We must take stock of our actions, choose our direction, and pursue the good. Then the bad will be subjugated to the good, even if the bad appears to be “greater,” dragged to the House of Study to be elevated and purified. It is not in Heaven, such that one could say ‘who will go up to Heaven and take it for us’… For this matter is very close to you, in your mouth and in your heart, to do it” [30:12, 14]. 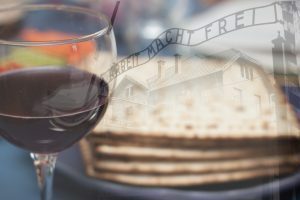 At first glance Torah observance can seem daunting, filled with myriad rules and regulations governing every aspect of life. It seems impossible for a person to know everything! And in reality, this is true: Rabbi Tarfon says in the Chapters of the Fathers that “it is not upon you to complete the work, but neither are you free to separate yourself from it.” A person will never know and understand the entire Torah, but rather has a lifelong obligation to study, learn and grow. This is only true, however, because there is unlimited depth and breadth to the Torah. That which we need to know in the daily course of our lives is well within our limits. We find a similar concept in secular law: we follow complex legal regulations every day without a second thought, simply because we learn patterns of correct behavior. All of us learn to operate turn signals while we learn to drive a car, and from then on use those turn signals even when turning right at an empty intersection. At least, most of us use our turn signals! When you come across a complex situation that requires greater knowledge (think taxes), then we consult experts and try to follow their advice. Once you learn to put on the right shoe first and tie the left shoe first, it becomes daily practice, even without learning the deeper meaning behind this behavior that elevates it to the status of a religious act. The Torah enables every person to perform the basic, correct behaviors, but all of the Torah that we learn continues to add depth and refinement to those same acts. In discussing the Commandment to love G-d (as found in the daily recitation of Shema Yisrael from the Torah), Rabbi Yisrael Mayer Kagan, the saintly Chofetz Chaim (whose Yahrtzeit is today, Erev Shabbos), cautions against simply reading the words without putting them into action. He compares this to a factory foreman who carefully writes the instructions given by the owner into a manual, and then each day gathers the workers and reads through the manual from beginning to end while the machines sit idle the entire day. The holiday of Rosh Hashanah is not only the Day of Judgment, but the beginning of a 10 day process of self-reflection, which should spark within us the desire to refine our behaviors during this coming year, to correct what we are doing incorrectly, and further perfect even what we are already doing correctly at more basic levels. There is always room for improvement that always room for growth, yet it is never so intimidating that we can’t get started. May the coming holidays lead us to greater growth and commitment, to better behaviors that will manifest themselves throughout the coming year. May it be a new year of success, growth, and happiness for us and our families! In this week’s reading, Moshe begins the transfer of Jewish leadership to his closest disciple, Yehoshua (Joshua). He “stands him before Elazar the High Priest and the entire congregation” [27:22], in accordance with G-d’s Commandment that he do so, and “you shall give from your glory upon him, in order that all the congregation of the Children of Israel will listen [to him]” [27:20]. People often ask why it is that the initial observant congregations in America were in such disarray. There were several factors, of course. Besides the abandonment of Jewish practice on the boat to Ellis Island, there were many who fell away from Jewish observance when they learned that if you didn’t show up for work on Saturday, you didn’t have a job on Monday. But Rabbi Tzvi Hirsch Rabinowitz zt”l (1848-1910) of Kovno taught us a different reason, when he declined an invitation to become the Chief Rabbi of New York City in 1888. He said that the way things classically happened was that a group of Jews organized in a city, and then sought out a Rabbi to guide the community and preserve Jewish practice, that it not be disturbed. He said that to go organize a new community, to establish a new order with newly-arrived Jews in a new location — that, he said, required a Rabbi like Moshe! As we see, what eventually grew Jewish communities was not the Rabbi of the synagogue, but those who built day schools to educate the next Jewish generation, as Moshe taught Yehoshua, and in the same way that Yehudah preceded his father Yaakov to Goshen, in Egypt, to (according to the Medrash) build a Beis Medrash, a House of Study (Breishis Rabbah to Gen. 46:28, see Rashi). And so it remains. Giving our children a strong Jewish education is the singular way that we preserve a Jewish future for generations to come! Someone shared with me a fascinating story this morning (from the sefer “MiShulchan Gavohah”). The Brisker Rav, Rabbi Yitzchok Zev Halevi Soloveitchik, served as Rabbi and Rosh Yeshiva of Brisk (Brest, Belarus) prior to the Holocaust, under the hostile Communist regime. The Communists wanted to “tamper” with Jewish education, with their Jewish comrades (of course) leading the effort. At a meeting, one of these communists stood up and declared that although it was in their power to close the Jewish schools, they would not do so due to their reverence for the rabbis. Some of the listeners were impressed by this. Clearly, they thought, this secular Jew (who, like all Jews of that era, had had at least a basic Jewish education himself) understood the importance to the rabbis of their unique Jewish schools. 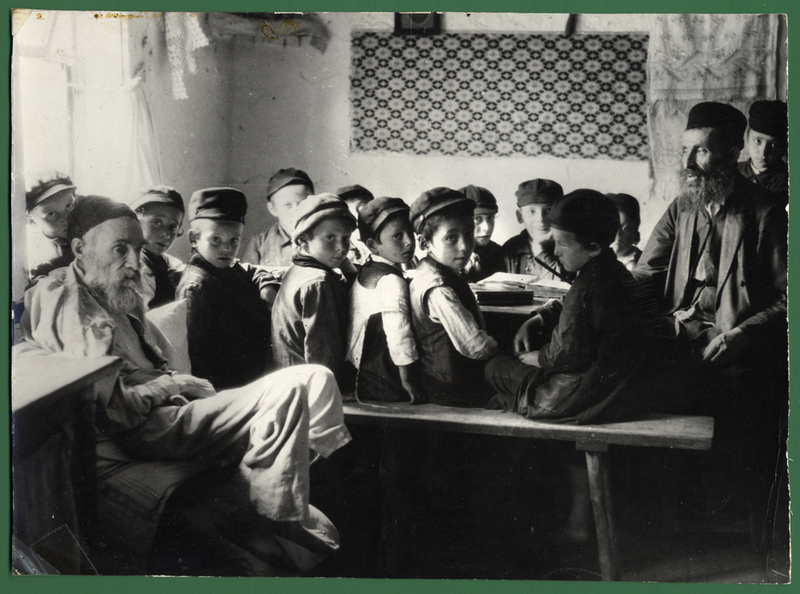 He saw “where they were coming from” and would help them maintain Jewish education under the communists. The Brisker Rav didn’t see it that way. He stood up and said back to the communist: you are like the evil Bila’am! Balak, King of Moav, sent emissaries to Bila’am in order that he come and curse the Jews. Bilaam told the king’s representatives, “if Balak were to give me his house full of silver and gold, I could not transgress the word of G-d” [22:18]. At first glance, it seems Bila’am is simply explaining the reality to them. But Bila’am was entertaining the idea! The Brisker Rav compared him to an assassin being asked if he could murder the king, and the man responding, “I couldn’t do that for $1,000,000.” If he loved the king he would say, “why would I do such a ridiculous thing?” Instead, the assassin says that the financial incentive isn’t worth the threat to his life — but otherwise he’d be willing to do it. Bila’am similarly says that going against the Divine Will isn’t worth the money. He is choosing not to do it, but otherwise might want to go against what G-d Wants. This is what eventually transpires: Bila’am goes with the king’s ambassadors, attempts to curse the Jews, and is forced to bless them instead. “You imagine,” said the Brisker Rav to the Jewish communists, “that you have the power to stop Torah learning if you simply wish to do so. But you are making the same mistake as the evil Bila’am. 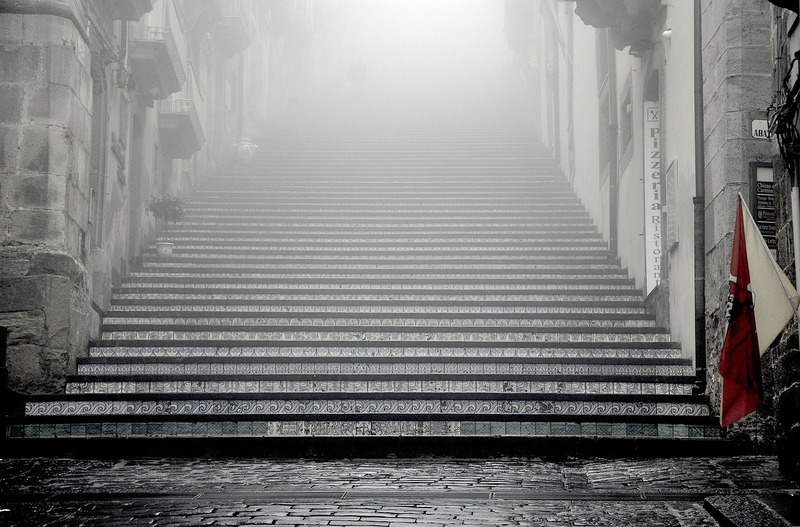 If it is not Hashem’s Will that it be done, it cannot be done, and you will be no more successful than he was! This week’s reading begins with the Commandment to prepare a red heifer for a special purification ritual. The calf was slaughtered and burned and its ashes mixed with water. Any person who came into contact with a dead person had to undergo a seven-day purification process, including having this water sprinkled upon him or her on the third and seventh day. Without this process, one could not enter the Tabernacle or Temple — this is why we may not go up onto the Temple Mount today, because we do not have the waters of the red heifer and thus cannot go through the purification process. Here, though, we find what is considered the most perplexing rule in the entire Torah: the person who sprinkles the water must immerse himself and his clothing afterward, returning to a pure state only in the evening. In the course of purifying the impure person, he himself becomes impure; we know from our Sages that even King Solomon himself was unable to understand why this is true. Yet this famous law offers a paradigm for the meaning of “faith” in Judaism. Our belief in G-d and the accuracy of the Torah is not simply something taken on faith; we have the eyewitness account of our own ancestors. The Torah itself asserts that no one else will make this claim, because the idea that our own ancestors, all of them, collectively, experienced a Divine Revelation is so outlandish that such a claim cannot be made unless it is true. As we know (and as Maimonides says), history has borne this out. What, then, is the place of faith? To us, faith is trusting G-d. The Torah tells us that He is taking care of us — but sometimes this defies our attempts to understand how this could be true. How can it be good for people to undergo sadness and tragedy? Does He really care and watch over us? The answer is an emphatic yes, and we rely upon His guarantee that this is true, whether or not we understand why the situation is in any way good for us. 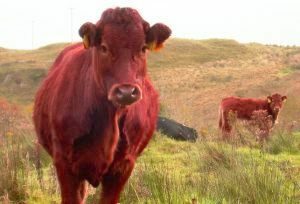 The perplexing law of the red heifer teaches us that despite our very best efforts, we are not always going to understand why everything makes sense, including how we can reconcile the idea that “everything is for the best” with circumstances around us. This conflict is itself part of the human condition, as surely as the rule of the red heifer is part of the Torah! When Moshe sent the spies into the Land of Israel, he did not anticipate two wildly disparate reports regarding what they would find. An argument breaks out between the spies upon their return: only two of them, Kalev and Yehoshua (Joshua), say that Israel should enter the land. The other spies insist that it is a hopeless effort. The spies concede that the Promised Land is a “land flowing with milk and honey,” [13:27] and bring back huge fruits to demonstrate the bounty they found there. But, they say, it is all worthless, because the occupants are strong giants. Although Kalev says that Israel can surely succeed, the others push back and insist it cannot be done. They repeat that the population are giants, so much so that they saw the Israelites as if they were locusts. For this reason, the spies insist that it would be better for Israel to turn around and return to Egypt. At that point, Yehoshua and Kalev stand up and say, “the land through which we passed, to spy it out, is a very very good land!” [14:7] And then they go on to say that if Hashem desires to bring them to that land flowing with milk and honey, then none should rebel against Him, nor should they fear. What was the point of starting off by telling the people that it is a “very very good land?” The other spies agreed that this was the case! They were the ones who first called it a land flowing with milk and honey, and came back carrying huge fruits. In an argument you focus upon the areas of disagreement, so why should Kalev and Yehoshua underscore how good a land it is? The truth is that the rest of the spies had digressed from their mission in the first place. At the outset, Hashem told Moshe that he may send spies into the “Land of Canaan that I am giving to the Children of Israel.” [13:2] The spies were supposed to see the land, and decide tactically how to enter. Questioning whether it was possible wasn’t part of the mission statement, because G-d said this is the land “I am giving.” There is no question of whether it was possible. Given that they had digressed, Kalev and Yehoshua realized that they needed to first get the nation to focus back upon the value of their goal, and then tell them to rely upon Hashem’s promise. 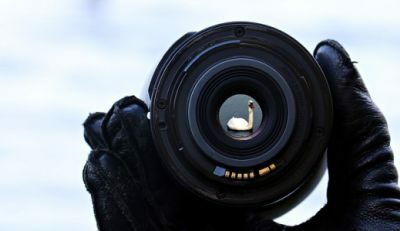 They understood that having a “good eye” isn’t merely about how you judge what you see, but what you choose to focus upon. They knew that if the people paid attention to what giants the occupants were, they would be afraid to enter their land. But if Kalev and Yehoshua could convince the nation to pay attention instead to how wonderful a land it was, then the people would be receptive to the message of G-d’s promise that they would inherit it. We are told to judge every person favorably, to see every person with a good eye. Sometimes, this is best accomplished not by trying to see a particular act in the best positive light, but by looking at the totality of the person. The same individual who got angry and acted out in a particular situation might also be the same person who is incredibly generous with both time and money when someone needs his help. A community cannot be judged by the behavior of a few bad actors, not because we can justify how those individuals behaved, but because those individuals do not represent the community. Part of the harmful effect of Lashon Hora, gossip about others, is that it inevitably focuses our attention upon a single bad action, rather than the totality of the individual. Our obligation is to look at the bigger picture, seeing that the person cannot be judged by a single misdeed, even if true. When we look at others this way, we inevitably find that we live in a much better world! In Judaism, our holidays are never mere celebrations or commemorations — they are opportunities for spiritual growth. 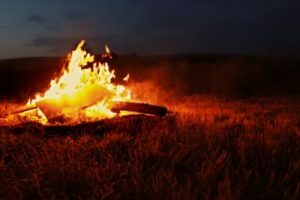 In the case of Lag B’Omer, there are two key lessons for all of us, found in the two stories behind this rabbinic holiday. Lag B’Omer gets its name from being the 33rd day of the Omer count. All Hebrew letters express a numerical value — “ל‎”, “Lamed”, is 30, and “ג‎”, “Gimel”, is 3. Thus we get the acronym “Lag” (pronounced “lahg”). The Talmud tells us that during the time of the great teacher Rebbe Akiva, a plague raged through his yeshiva, his rabbinical school, during the Omer. He lost 24,000 students during this time; even the great schools in Babylonia, and those of today, are not as large. Rebbe Akiva went on to teach five more students, and it is they who transmitted much of Jewish tradition on to future generations — so one can only imagine what was lost because those 24,000 other students passed away. This is why many observe customs of mourning during the Omer period, except on the 33rd day when the plague ceased. 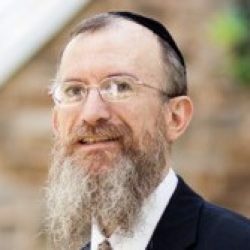 One person who did pass away on Lag B’Omer was one of Rebbe Akiva’s five key students: Rebbe Shimon Bar Yochai, author of the Zohar, the work of revealed Kabbalah. Defying Roman persecution, Rebbe Shimon and his son Elazar hid in a cave to learn Torah together — for twelve years! The custom of lighting bonfires on Lag B’Omer celebrates the incredible light of Torah which Rebbe Shimon Bar Yochai gave the world. Why were all of the 24,000 scholars lost to us? Our Sages say that considering their spiritual level, they showed insufficient respect and love for each other. So throughout the Omer period, it is not sufficient to mourn by not shaving or listening to music; we must think about our obligation to show love and respect for every other person. And on Lag B’Omer in particular, we should celebrate — and ponder — the incredible light that one person can share. In this week’s reading, the Torah clearly lays out for us the animals, fish and poultry permitted under Jewish Law. In the course of doing so, the Torah makes a statement that — were it made by a human being — would have been beyond foolhardy. That fact was entirely unknown to humanity even 500 years ago. Two of these, the shafan and arneves, are wild animals. To which species, genera or families they refer may once have been known with certainty, but today this is a matter of speculation. Not so, however, the camel and swine [the pigs and peccaries], which are domesticated and thus well known to us. The Camelid family is found in two distinct regions: from North Africa across to Central Asia, and in South America, and the species found in one place are different from those in the other. The many different genera and species of the suborder Suina also live in distinct regions — yet for Suina as for Camelids, their commonality is as obvious to farmers as it is to taxonomists. The llama is called the “New World Camel” for good reason! Rav Chisda said, if one is going through the desert and finds a domesticated animal whose hooves are cut, check its mouth. 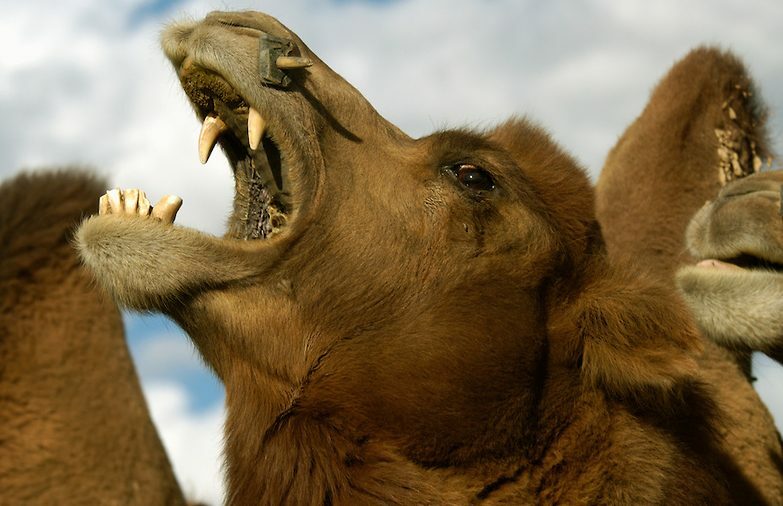 If it has no upper teeth, it is known to be pure, if not, it is known to be impure, as long as he can recognize a… juvenile camel [which does not yet have upper teeth]. And Rav Chisda said, if one is going on the way and finds a domesticated animal whose mouth is damaged [its teeth have fallen out], check its hooves. If its hooves are cloven, it is known to be pure, if not, it is known to be impure, as long as he can recognize a swine. These statements are every bit as true today as they were thousands of years ago, when it was inconceivable that human beings could claim to know these things by studying the natural world. The platypus was not discovered until the very end of the nineteenth century — the first specimen sent to the British Museum has scissor marks at the end of its bill, because the curator was so certain he was examining a hoax that he tried to hack it apart. To me, there seems to be only one reasonable explanation for how the Torah and Talmud could say these things! What is the connection of “Arami Oved Avi” — “An Aramean [Laban] destroyed my father” — to the Haggadah? The Haggadah says that “Pharaoh decreed only against the males, but Laban tried to uproot everything.” Again, why connect the two? The goal of the Haggadah is to tell us about the Exodus from Egypt, so why go back in history to find another example of someone who didn’t like Jews? Rabbi Naphtali Tzvi Yehuda Berlin, zt”l, known by his name’s acronym the Netziv, explains that Laban was the paradigm of anti-Semitism. He began with the false notion that our forefather Yaakov was stealing from him — something obviously false, both because Laban owed his wealth to Yaakov (as Laban himself recognized), and because Yaakov was impeccably honest. Yet Laban, the dishonest swindler who kept changing Yaakov’s wages, projected his own evil upon Yaakov. Rather than Laban stealing from Yaakov, in his mind it was Yaakov stealing from Laban. And how could Yaakov, such an honest and G-d-fearing person, steal? Laban blamed Judaism. Yaakov was a Jew, father of the “Chosen People,” dedicated to a special kind of Divine Service. In Laban’s mind, this meant that Yaakov was a supremacist — that Judaism itself permitted Yaakov to steal from anyone who wasn’t Jewish. And Laban thus concluded that he needed to eliminate this evil: to destroy Yaakov and all those who shared his beliefs. And this is the classic model of anti-Semitism. Pharaoh similarly concluded that Yaakov’s descendents were gaining too much power, and would use that power to steal Egypt from the Egyptians. By murdering the boys and marrying the girls, he as well hoped to eliminate Judaism. Thus the story of Laban is especially relevant, appearing as it does after the paragraph “V’hee She’Amdah” — “It is this that has stood by our fathers and us. For not only one has risen against us to annihilate us, but in every generation the rise against us to annihilate us. But the Holy One, Blessed be He, rescues us from their hand.” Laban is the paradigm. He gives us the model through which to understand all those who follow this well-worn path of hatred. The Haggadah also tells us the inevitable result of this anti-Semitism: in the end, the Jews are liberated from oppression and connected more closely to their G-d. The Egyptians were destroyed, while the Jews were brought out to receive the Torah. The Torah stands with us throughout history, enabling us to withstand oppression when it happens, and to prevent our destruction. From Laban until this day, Torah is our best protection! In this week’s reading, we begin the third of the 5 Books of Moses, Vayikra, or Leviticus. It was undoubtedly dubbed “Leviticus” because much of it concerns the Temple services, done by the Kohanim, the Priests, descendents of Aharon HaKohen, of the tribe of Levi. Here, at the beginning of the book, some of the first offerings to be discussed are those when various individuals commit a serious transgression through negligence — by, for example, forgetting that the behavior was prohibited. And the Torah prescribes different offerings based upon who committed this sin: there is an offering for a High Priest who transgresses. Then there is one for “all of Israel,” by which the Torah means if the Sanhedrin, the Supreme Court, were to rule incorrectly in a matter of law, only realizing its error later. Then there is one for the King, and finally for the common individual. Long before the modern era, the Jews had a Balance of Powers. No one could claim absolute authority; rather, King David himself had to consult with both the Kohen Gadol (High Priest) and the Sanhedrin. But furthermore, everyone had to second-guess his own conduct — even the King, even the Sanhedrin itself. 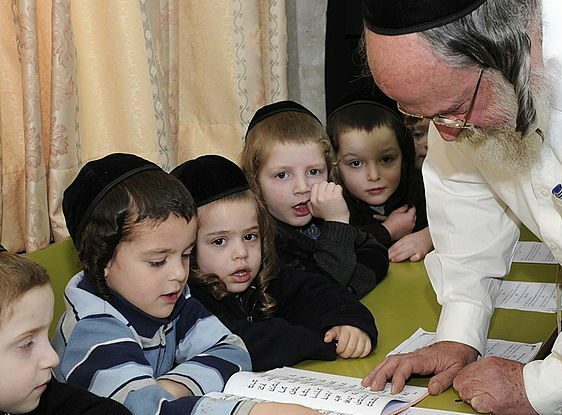 There is no equivalent to “papal infallibility” in Judaism; on the contrary, no individual could avoid the possibility of transgression. 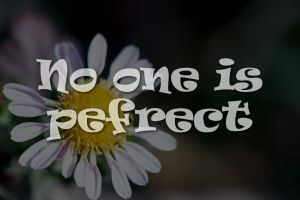 We could seek no better proof for the idea that no one is perfect. Everyone makes mistakes. So no one should look back at the past, and lose hope for the future. Nothing can stand in the way of sincerely turning back to the correct path, because G-d will always accept a sincerely repentant person. And as we see in this week’s reading, everyone does indeed make mistakes — even the judges themselves!